Depending on the types of detection, the current medical science, and technology announce a plethora of biosensors that are applicable in cases like glucose monitoring system, food analysis, climate change, and in areas, yet to be discovered. In this era, a biosensor platform consisting of bio-recognition site, biotransducer component, and an electronic system further including a monitor, processor and an amplifier has to run at a greater speed, accuracy, with consistency to uplift today's standard. Eyeing the goal to achieve a better version, a research team from the DGIST has recently developed a biosensor platform that runs 20 times faster than any conventional system. The biosensor is a device that uses biological molecules to test the presence of chemicals. The sensing capability of such biosensors is actually measured by the resolution of the sensor and the movement and reaction rate of molecules. For years, many contemporary research groups are trying to escalate the resolution using nanomaterials but the restriction, low diffusion transport biomolecules towards the sensing region limits the sensor’s sensitivity. The team led by Professor CheolGi Kim has used a micro-magnetic field having a web-like configuration to erase the restriction as the biomolecules get marked with superparamagnetic particles, and with the help of an external magnetic field the movement of the external bio molecules is easily controlled and sensed by an ultra-sensitive magnetic sensor. 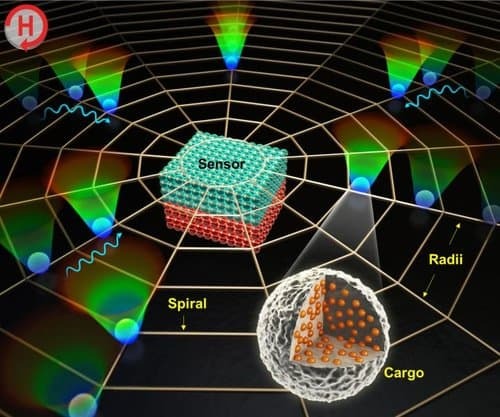 A Ph.D. student Byeonghwa Lim expressed that the micro-magnetic structure was intended to push the superparamagnetic particles towards the core of the biosensor. Now, applying an external rotating magnetic field to a web-shaped magnetic field, the biomolecules tagged with superparamagnetic particles get attracted to the sensor. The movement at which they are dragged in is 20 times higher than any method applied previously. Professor Kim, further explained the current biosensors take up a significant amount of time to detect low-density biomolecules and offer a poor sensing efficiency as they are solely dependent on diffusion. The newer approach not only enhances the collection capability of biomolecules but also increases the speed and sensitivity of the biomolecules movement. With this result, the team prepares to use the technology in medical detection systems for an early detection. The complete result has now been published in the journal Nature asia materials.